You already know that you’re going to buy Assassin’s Creed 3 on Oct. 30, the questions is: where should you buy it? Well, if you decide to brave your local Gamestop a pre-order there will net you “The Lost Mayan Ruins” single-player mission, which unlocks the Sawtooth Sword weapon in the main game. Just don’t be surprised if you find yourself being coerced into pre-ordering everything else. However, if Best Buy is more your speed, pre-ordering will get you a different single-player mission called “Ghost of War”, which has its own special weapon, Pontiac’s War Club. If you’d rather avoid human interaction while securing your copy of Assassin’s Creed 3, you can always buy from Amazon and get yourself a Boarding Ax in-game weapon as well as well as a Captain of Aquila character unlock. We here at SideQuesting will not be responsible for any case of rickets you may or may not contract as a result. 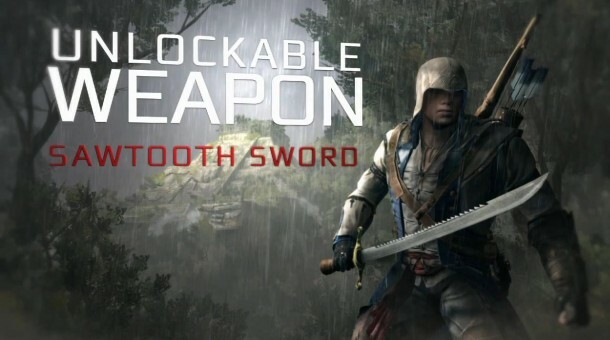 That being said, if you can manage to tolerate the smell of other human beings — lots of human beings — you might try Walmart which much like Gamestop and Best Buy, will get you a single-player mission and a weapon: “A Dangerous Secret” and the Flintlock Musket, respectively. And finally, the Target pre-order bonus includes the Colonial Assassin unlock with his Scottish Flintlock weapon and a Redcoat multiplayer character. Steven is a freelance journalist and editor for SideQuesting, as well as several newspapers. He is a podcast co-host for The Side Quest, Lonely TARDIS and Drunks and Dragons. His interests include comics, books, games you've never heard of and fettucini alfredo.